* Traditional but with a contemporary twist, our personalized set of four 13 oz. 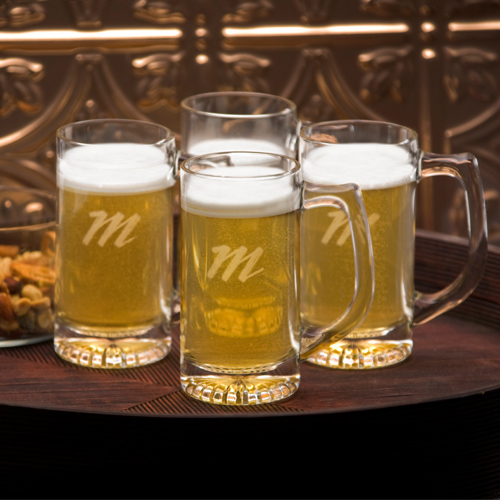 * Tavern Beer Mugs are classic tankard-style glasses with a C-shaped handle and sturdy base. * With plenty of room for a hearty helping of your favorite brand of frothy beverage, these classic mugs are personalized with a one letter monogram for a personal touch. * Each mug holds 13.5 ounces. 5.5" x 2.75" x 2.75"